Foreword. Introduction: Social Theory and Education: Against Neoliberal Globalization. Part I: A Critique of Neoliberal Globalization 1. Globalizations and Education 2. The Banking Education of the World Bank: Expert Knowledge, External Assistance and Educational Reform in the Age of Neoliberalism: A Critique of the World Bank 3. No Child Left Behind: A BrainChild of Neoliberalism and American Politics Part II: From Critique to Utopia: Alternatives to Neoliberal Globalization 4. Education, Teachers Unions and the State: The Theses of Lisbon. 5. The Political Pedagogy of Paulo Freire. 6. Critical Social Theory and Educational Research 7. Globalizations, Education and Transformative Social Justice Learning: A Preliminary Draft of a Theory of Marginality Part III: Biography as a Genre of Political Pedagogical Struggle 8. 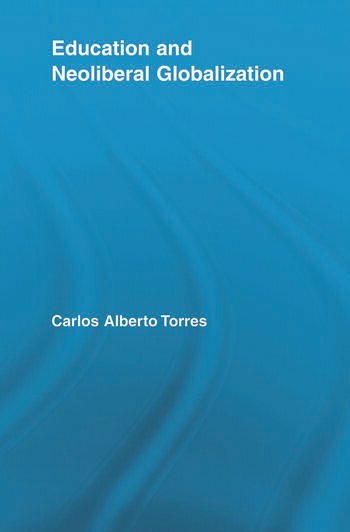 Education, Power and Personal Biography: An Interview with Carlos Alberto Torres by Armando Alcántara Santuario. Notes. Bibliography. Index. Carlos Alberto Torres is Professor of Social Sciences and Comparative Education at the Graduate School of Education, UCLA.